We are looking for an enthusiastic Locum Consultant Urological Surgeon with core Urology skills to work in our dynamic and well-established team. 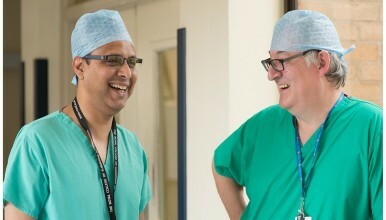 This is an additional post to further complement our team of 6 Consultant Urologists. Full time and part time applications are welcome and the post is available as soon as an ideal candidate is found. The purpose of this post is to provide additional capacity to manage our ever increasing workload. Any subspecialist interest will be considered. The On-call commitment will be 1:7. The successful candidate will join a team of 6.0 WTE substantive Consultants providing Urology services to the County of Shropshire, Telford & Wrekin and a sizeable part of the adjacent Welsh county of Powys, serving a combined catchment population of approximately 550,000. We want you to find out more about the department and our hospitals, and we invite you to contact us with any questions you may have on 01743 261496, or even arrange a visit. Please also take the time to read any supporting documentation to really get to know us. Mr AWS Elves, Consultant Urologist and Clinical Director for Surgical Specialities, Royal Shrewsbury Hospital, Mytton Oak Road, Shrewsbury, SY3 8XQ.